5.0 out of 5 starsAn easy read with a powerful dose of mentoring; no mean feat, executed with humour and style. Rather than a book full of overwrought self help nonsense, Trudy Yip has written a concise, encouraging, and charming piece that is simple without being condescending, engaging without being cutesy, and of great practical value. Anyone who has done business will recognise that the ideas and advice are derived from experience. Depending on your experience, you'll get a healthy blend of "exactly as I see it" "I've never seen it expressed so clearly" and "why didn't I see this before???" It's an easy but powerful dose of mentoring, in book form. 5.0 out of 5 starsInspiring and Energising. Great read. 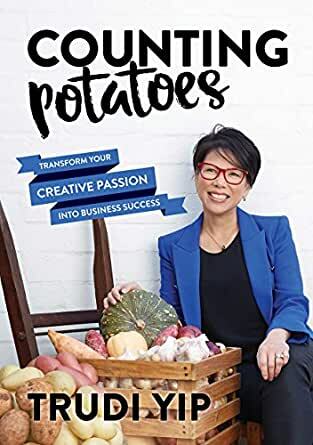 Beautiful mix of respecting the people who contributed to the Authors growing up, and her growing a business, and her living a life full of energy and determination. Passion personified. A great friendly-style writer and easy to read book that addresses the serious and complex world of owning and managing a small or medium size business. Just got your book and love it Trudi! Great read. Inspiring, a wonderful tale of life and going with opportunity.......a must read!